Just 9 of these Supercars were built, but this is the only example in the world fitted with a 6-speed manual transmission. Ferrari (NYSE:RACE) has produced some spectacular 1-off and Limited Edition Supercars over the years. Most recently, the iconic Italian automaker unveiled the one-off SP3JC based on the F12 tdf commissioned by a favored client. 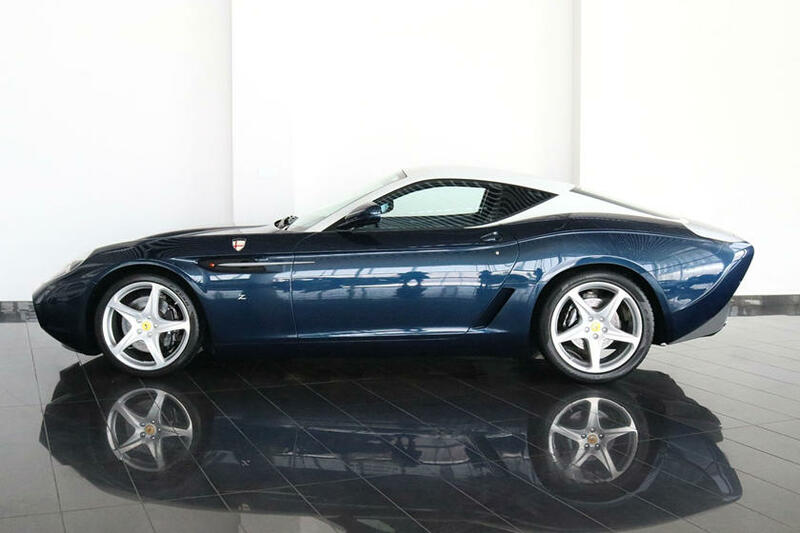 Back in Y 2007, Ferrari teamed up with renowned coachbuilder Zagato to create the 599 GTZ Nibbio Zagato. Again, just 9 examples were produced and sold worldwide, 8 of them were fitted with Ferrari’s semi-automatic paddle shift transmission. But, 1, this 1 was fitted with a 6-speed manual transmission, and now this Supercar is on offer for a new owner. The GTZ Nibbio Zagato is based on the 599, but it has very little in common with the standard 599 GTB, or any other Ferrari for that matter. The front features a redesigned grille, new air intakes, and restyled headlights, but there are even more significant changes at the back of this Ferrari. Zagato altered the shape of the roof and fitted a custom rear window that seamlessly stretches back along the rear deck lid. The new roof and rear window are also painted white in contrast to the rest of the Supercar, which is finished in dark blue. It’s livery is certainly very stunning and complements this very unique Zagato creation. As for how much it will cost the new buyer, it will come as no surprise this extremely rare ‘Prancing Horse’ has a 7-figure price tag. The Ferrari dealer in Dubai, Tomini Classics is asking for $1.495-M to drive this bespoke example away, the car has 26,772 kilometers (16,635 miles) on the clock.